"Making navigation as familiar as sending a text"
Nokia has made the declaration of 'free sat nav for everyone,' with the announcement that it has made worldwide walk and drive navigation free on its smartphones. The new functionality will come with the new version of Ovi Maps, available on the Ovi Store, and offers "all essential car and pedestrian navigation features, such as turn-by-turn voice guidance for 74 countries in 46 languages, and traffic information for over 10 countries, as well as detailed maps for over 180 countries." Nokia has previously offered such services on its phones as part of earlier versions of Nokia Maps, but these have been in the form of a free trial with the option to purchase the service later. Speaking about the announcement which is sure to ruffle a few feathers in satellite navigation circles, Anssi Vanjoki, Executive Vice President, Nokia said in a statement: "We want to make using your mobile for navigation as familiar as using it to send a text or take a picture. We believe that making the best maps with voice guided navigation available for free will be the catalyst to do this. "Why have multiple devices that work in only one country or region? Put it all together, make it free, make it global and you have something that is truly useful and can help you get round almost any city in the world whether you're on foot or driving." You can download Ovi Maps now on your compatible Nokia handset – which includes the Nokia N97 mini, N97, 5800 XpressMusic, E72, X6, E55, E52, 6730 Classic, 6710 Navigator and 5320 – for free at www.nokia.com/maps. 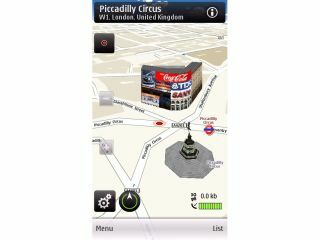 Nokia has also announces that from March 2010, new Nokia GPS-enabled smartphones will include the new version of Ovi Maps, which will sport local country map data and access to Lonely Planet and Michelin travel guides for no extra cost. Apple, Google et al – it's over to you.